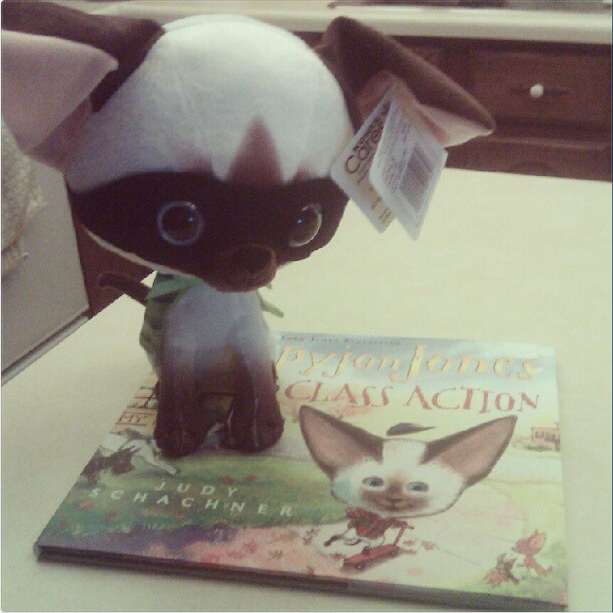 In case you haven't heard already, Kohl's has Skippyjon Jones books AND matching plushes right now for only 5 dolla dolla bills. I picked up one of each. The plush cracks me up; its head is HUGE. Also, I have been legit bombarded by awards, which of course I so appreciate!! Thank you so, so much everybody for the Versatile Blogger Award and One Lovely Blog Award! and Alyce at Mrs. Bartel's School Family! I hope you have a super happy and fun 4th tomorrow! wow!! What a great deal! I will have to go check this out and get a Skippyjon for my very first classroom! I love your idea of letting the kids read to him during read to self time!! So cute! I love Skippyjon Jones! Thanks for the heads up...of to Kohls I go! Ducking...I think I'm the only person in the world who isn't a fan of Skippyjon! But, I'll get him for my kiddos who might like him. I have an ever-growing basket of stuffed storybook characters that kids can read to. They love it! I've had to review proper rules a few times but the kids are great with them now. I did get two of Eric Carle's books for 2.00 on sale at Kohl's last week. They had a small stack of the hardcovers leftover so be sure to look for all leftovers from time to time.